This sounds almost like Bultmann’s demythologization project, but applied to a piece of literature instead of the New Testament: that is, one can appreciate the narrative kernel of the story (with its ethical application), but one must discard the supernatural husk in which it is delivered. 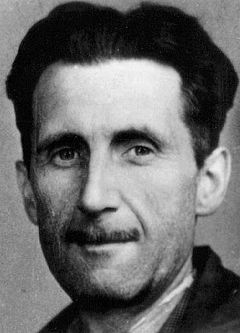 Orwell continues: “Mr. Lewis appears to believe in the existence of such [evil] spirits, and of benevolent ones as well. He is entitled to his beliefs, but they weaken his story, not only because they offend the average reader’s sense of probability but because in effect they decide the issue in advance. When one is told that God and the Devil are in conflict one always knows which side is going to win. The whole drama of the struggle against evil lies in the fact that one does not have supernatural aid” (italics mine). This is an interesting criticism, and it raises a profound theological question: if God’s victory is inevitable, is there any real drama to the struggle between good and evil? In addition to various responses one might give to this idea from a theological angle, I submit that this critique does not ring true even at the literary level. To speak from my own experience, in no case has knowing that a book has a happy ending ever reduced my excitement at the struggle of the plot. I begin virtually any story with the presupposition that it will come to a successful resolution at its end because this is the basic structure of all stories. In order to really enjoy a story and find the struggle of good against evil meaningful, I don’t have to discard this presupposition. Nor do I think this is unique to stories that have supernatural elements. Whether the good character is God, Orwell’s protagonist Winston Smith, or television’s Greg House, one enters virtually every story expecting good to win in the end. The deeper question to my mind is, why do we always expect good to win? What is it that guides every human story to this constantly recurring structure, the eventual triumph of good over evil after struggle and suffering? To that question I submit Lewis’ worldview, with its supernaturalism, has a better answer than Orwell’s. Good comments on Orwell’s review. I won’t deny that the ending of That Hideous Strength, with the sudden introduction of the Arthurian mythos and all, is certainly strange and unexpected, and feels very much at odds with the sci-fi atmosphere, but I think that’s part of Lewis’ point. One wonders if Orwell had read the previous two books of Lewis’ trilogy and failed to understand the supernatural basis to them!